This centrepiece garniture, consisting of a central jardinière and pair of flanking vases, is an exquisite piece of French design from the late 19th Century. 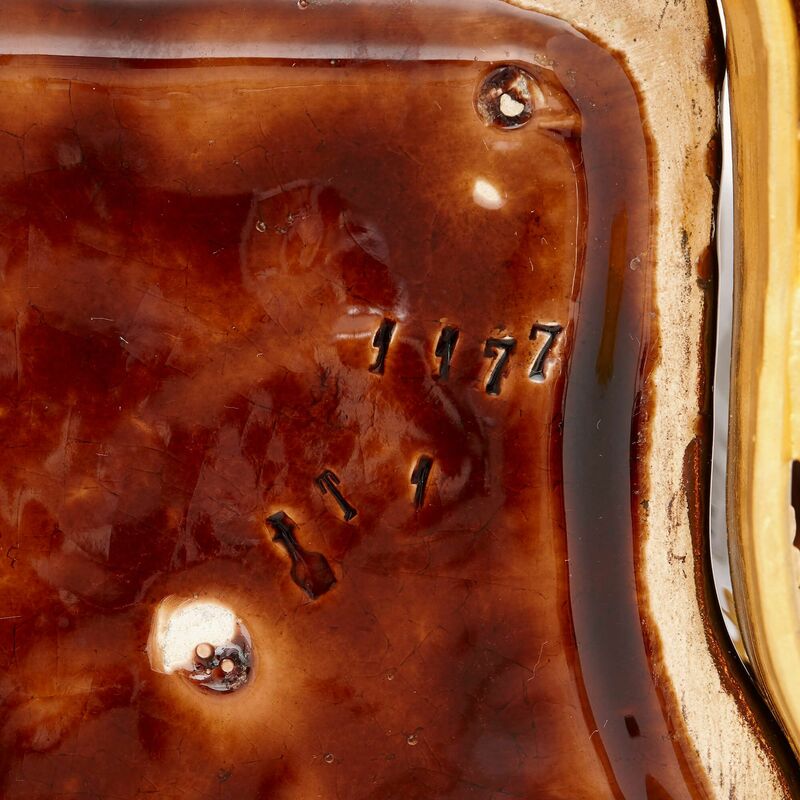 This elegant and refined three piece garniture was crafted in France in the late 19th Century. 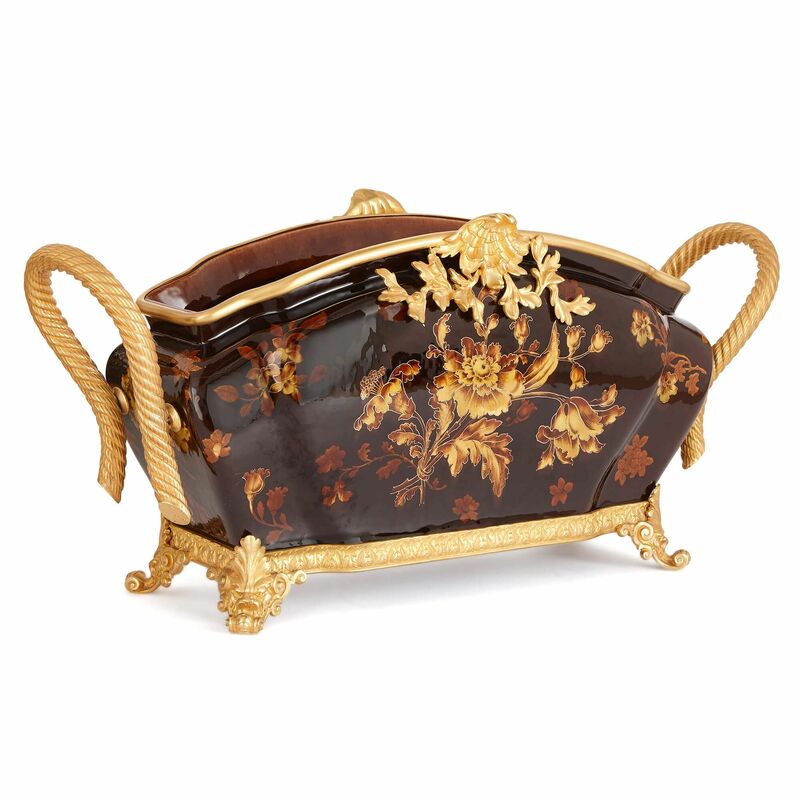 The central jardiniere has a beautiful oblong porcelain body that is painted a rich brown, with floral motifs picked out in a lighter golden colour. 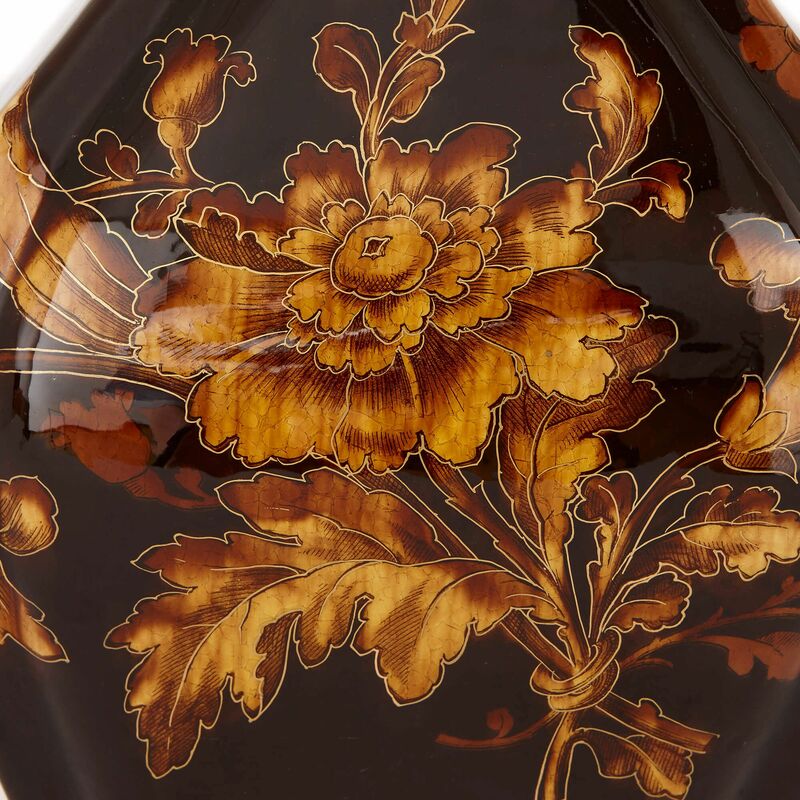 In its colours, this surface ornament is reminiscent of a tortoise shell veneer. 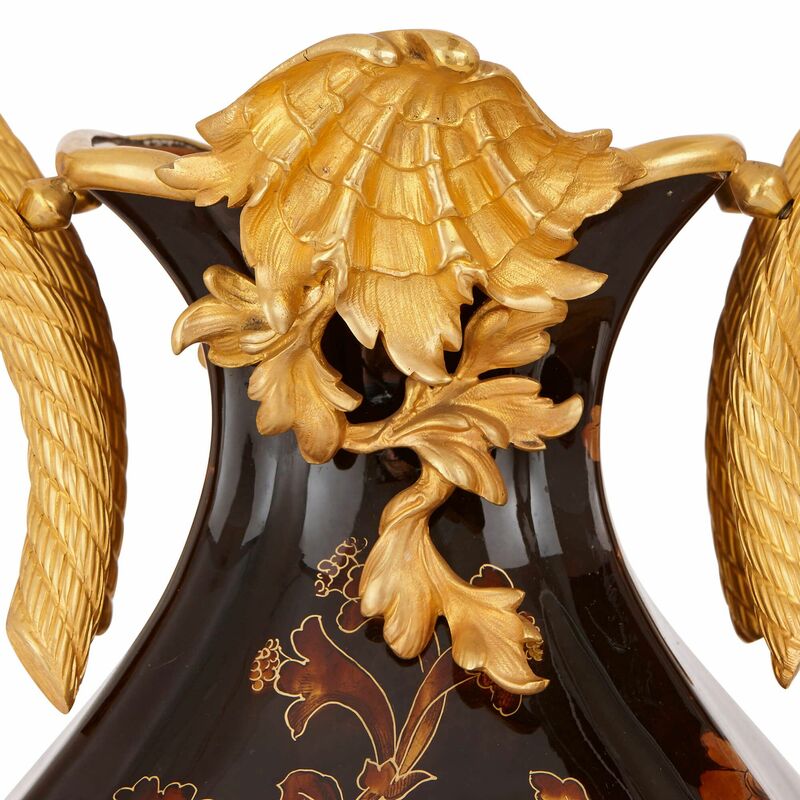 The rim of the jardiniere is highlighted in gold and is decorated at its centre with an ormolu mount in the form of a clam shell, from which leafy vines emerge. This central piece is fitted with twin rope-form handles and set on and ormolu base with four elegant paw feet. 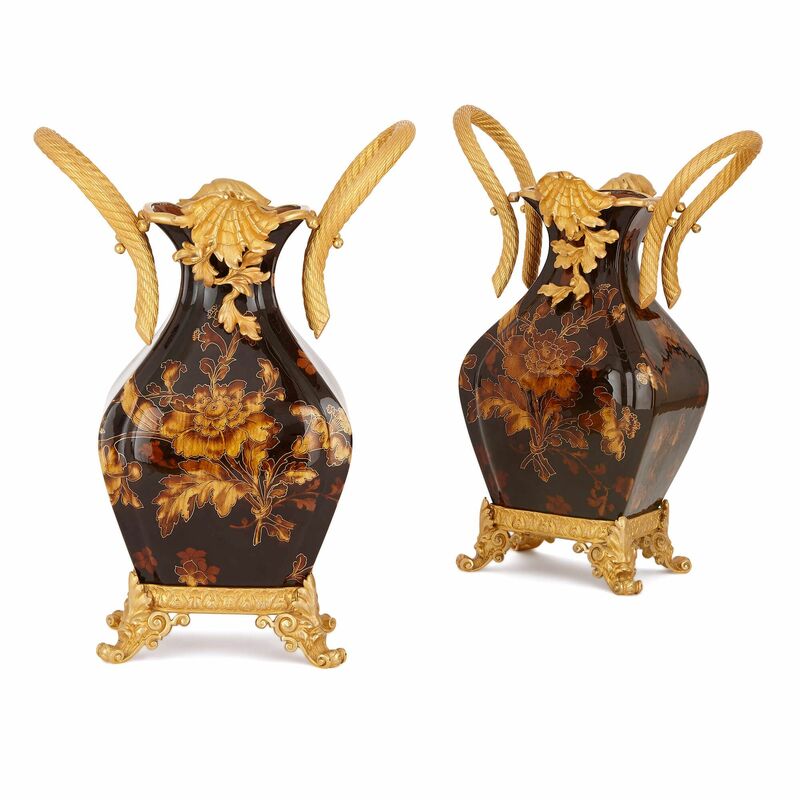 Accompanying the jardiniere are two vases that are similarly decorated, with intricately painted porcelain bodies and beautiful ormolu mounts. 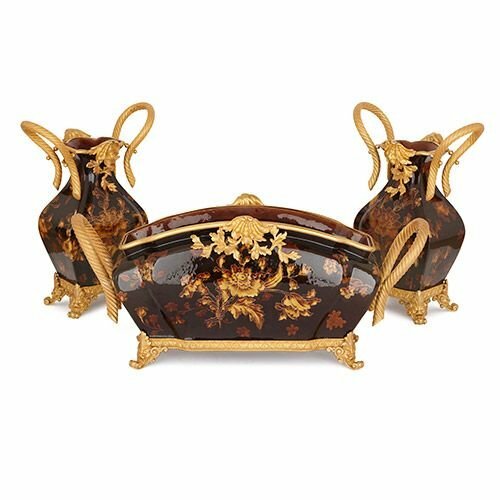 This jardiniere could be used as a planter for flowers, as could the flanking vases, making an elegant table centrepiece. Pair of vases: Height 48cm, width 33cm, depth 16cm.